Online Reservations available, Book now! 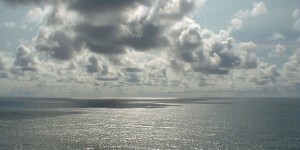 Our crews at Yaquina Bay Charters are sensitive to the comfort of the mourners in the spreading of a loved ones ashes. Let us take you to a picturesque and peaceful sea just off Newport’s beautiful coastline for your service for the departed. We can accommodate up to 30 people or as small as one individual. Enjoy a beautiful wedding on the ocean. Personal arrangements can be made by filling out our information request form.